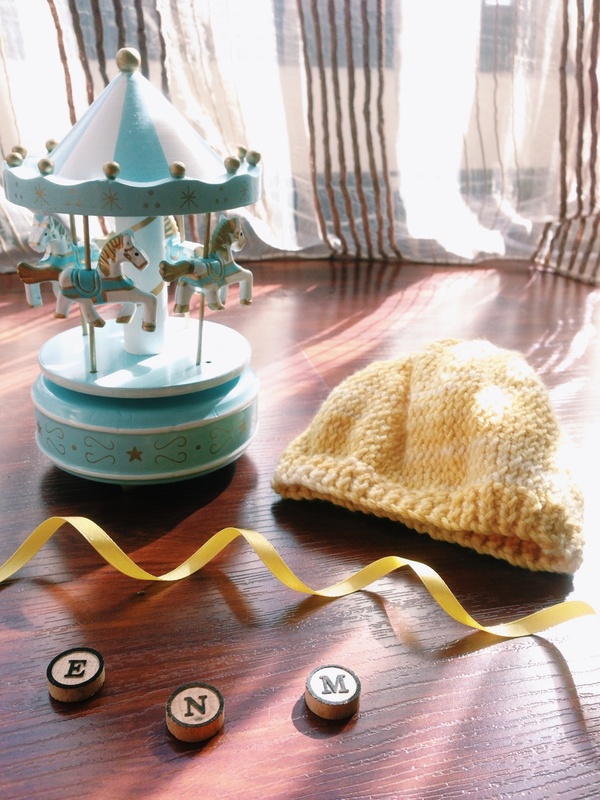 Alrighty, so the first thing I made with the marigold yarn is this baby hat. The pattern is done in flat thus requires a seam when finished. 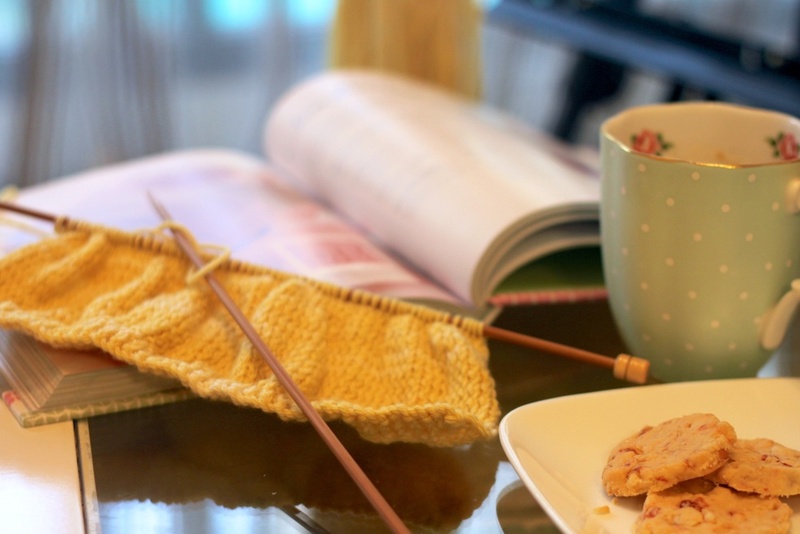 The pattern is from the knitting projects book for beginner so not many projects that require a set of double pointed needles (dpn)/circular needle. But ever since learning how to use dpn and got my nerves under control by finally understood it's basically just the same thing as knitting with the straight needles, I love every project that uses dpns. And uhm maybe also the fact that I still find seaming a bit troublesome and I can't seam neatly! *frustrated* Well anyway, I finished it! And it looks cute and bright and fun with the pale yellow color. The seam... oh the seam is visible, granted, but I think I made progress with it. Can't wait till I actually put this on my baby's head.